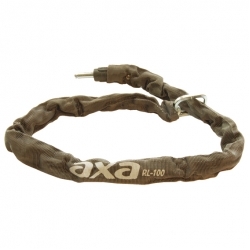 The AXA RL chain comes in two lengths, either 1 metre long or 1.4 m long. These are the RLC 100 and RLC 140 models. 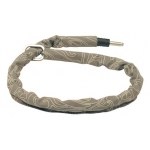 The chain is of hardened steel with 5.5 mm diameter material. 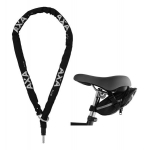 It clips into the side of the AXA Defender or AXA Victory frame lock to provide extra security. The 1.4 m version of the chain weighs 1 kg, providing a good level of security with a little less weight than the DPI 110. 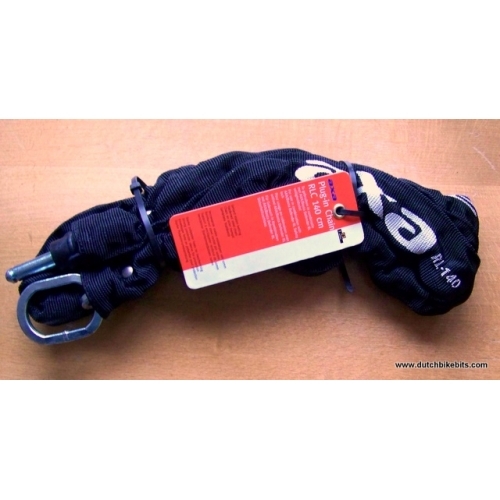 A saddle bag is optional with the black chains. See 'Additional Images'. 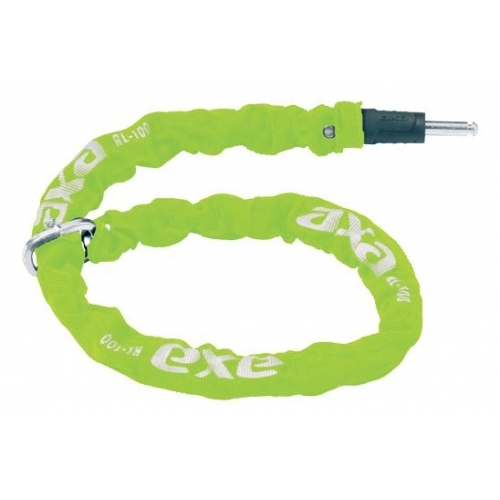 For more length, consider a cable instead of a chain.